Mike Murray is The Beat Doc. Beats and percussion are his lifeline. When Mike came to me needing help, I couldn't turn him down. Friends have to help each other out in times like these. Since Mike plays drums for many different artists in and around New York City, it only seemed fitting to create a brand around his drumming using a graphic logo. 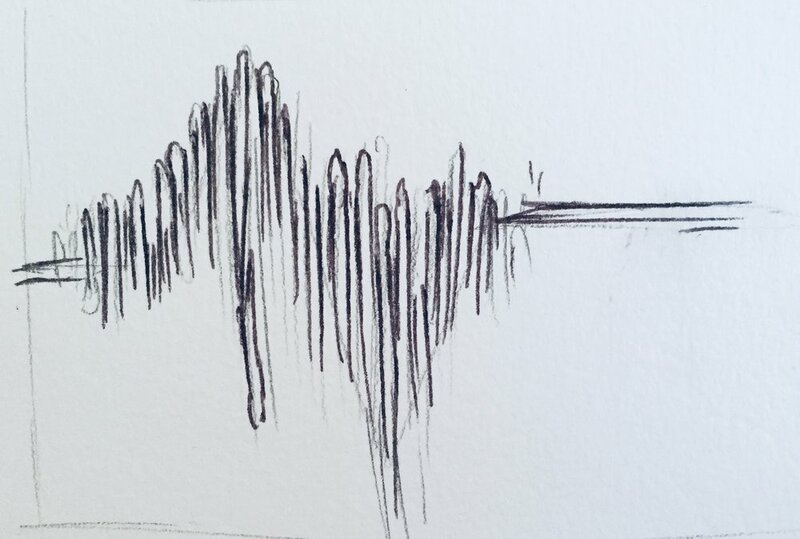 The initial idea was simple, assemble drumsticks into an EKG line play. 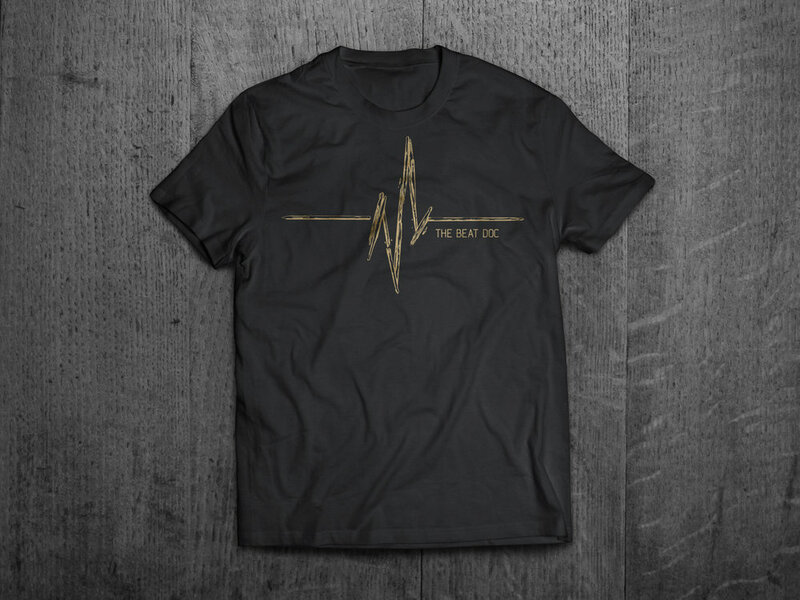 The idea is simple yet fits so well with his Beat Doc branding. Mike had a previous concept ready for viewing. The concept lacked clarity and looked so oversimplified that the scale/ length of the sticks didn't make too much sense. This image was to 1: Create an image for the background of his website. 2: This image would also have the possibility of producing shirts. The first challenge: How to improve upon this design he was set on? 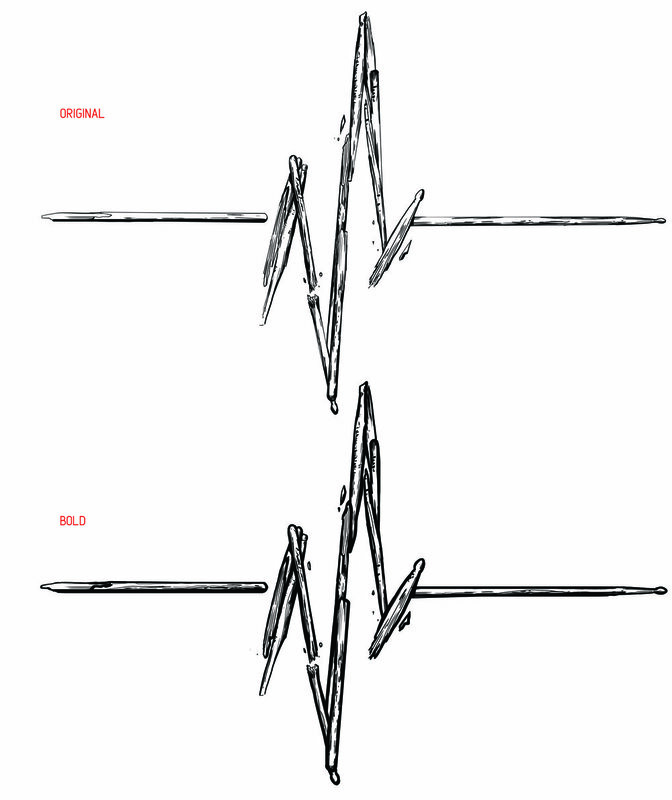 How can we have these drumsticks make sense being different lengths of the EKG heartbeat? We break them.